Cloud Computing Companies will be the biggest gainer with the growth of the Chinese economy and its wide spread acceptance among its 1.3 billion population and policy makers. China’s aggressive approach to adopt Cloud is evident from its significant investment for creating new Cloud Platforms and SaaS based software and applications support by setting up massive data centers. Chinese government has been indulged in 17 provinces and constructing 30 large scale data centers with an approximate investment of 150 Billion USD on Cloud Computing projects. Over 81% mobile service and 57% internet penetration and its optimistic market Size of 19 Billion USD make China the most preferred destination for Cloud Services. Though everything seems buoyant about the Chinese market but, there are key challenges that restricts competent Cloud Service providers to enter China. Data centers results in huge power consumption upto the limit of around 5% of the total consumption in China. To set up data centers for Cloud Computing, power generation and distribution has to be very essential across the provinces. China is still a laggard in this area. “Cloud Computing” use is not classified as on till date in China. This is still considered as a VATS (Value Added Telecommunication Service ). 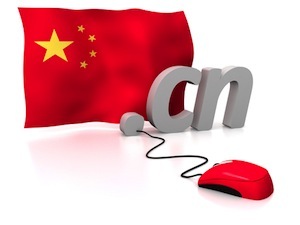 Chinese Government is still not clear about licensing process for using Cloud Computing. The Cloud Computing Provider have to secure a license, if falls under the provision of Internet Data Center (IDC) services. If the Cloud services do not fall under 2003 Classification Catalogue, then just have to file and record the case with the provincial counterparts ofthe Ministry of Industrial and Information Technology (MIIT ) . There is no defined and specific procedure to file and record. In gist, licensing and government permit delays for Cloud Computing Service Providers. Government restrictions on foreign investment in Cloud Computing services. Under 2003 Classification Catalogue, Cloud Computing was considered as an allied service to telecom industry and ,so, provisioned under IDC licenses. Foreign Cloud service providers have to establish a FITE (Foreign Investment Telecom Enterprise ) in China and foreign investment should not exceed 50% and the registered capital should be more than 10 million RMB or 1.6 million USD. The entity should be a joint venture between a Chinese and the foreign firm. Besides, that there are dozen of approvals, licenses and verification processes for the foreign investor to set up a joint venture with a local company. Practically, the establishment of FITE is restricted in China. 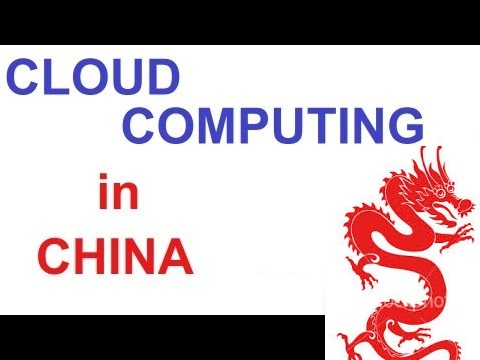 A major challenge to the growth and survival of Cloud Computing in China. Very high Capex requirement for Cloud Service Providersfor setting up data centers in China. Setting up data centers attracts higher customized solution for power consumption and distribution. Making bandwidth available across provinces also need high capex in laying fibre cables. Data security in Cloud is more vulnerablethan the data in on premise IT environment. Cloud Computing architecture supports computing concepts and technologies like Service Oriented Architecture ( SOA ), Web 2.0 , virtualization and other technologies which are dependant on internet. These concepts and technologies have their own security issues which are been inherited by Cloud. After, the Edward Snowden allegation on US government for snooping on Chinese information, the Chinese government has become more stringent on exposing its information and data centers to Cloud environment. Besides, all these above key challenges there are numerous policy level challenges to be noted before entering China. IT Consulting companies or Cloud Infrastructure Management services companies have to ensure a huge capital investment and a long term commitment strategy before getting into China. Exelanz, LLC , an IT managed services company based in NY, USA. Besides, Exelanz is a key Cloud Infrastructure Management company having noteworthy experiences in serving Chinese clients. Exelanz, has partnered with a local Chinese company to comply with Chinese IT vendor regulations.